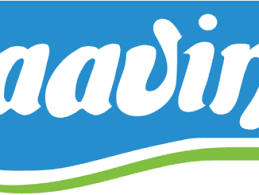 Aavin Sivagangai Recruitment 2017 has announced for various vacancies. It has released its application form on its official site. Want to apply for it? It has released for 4 Manager (P&I), Deputy Manager (Dairy), Private Secretary Gr-III, Extension Officer Gr.II, Senior Factory Assistant (SFA) Posts. Aavin Sivagangai SFA, Manager Jobs. If you like to apply this job? Then find here all details below. 1. Manager (P&I) / Manager (Vety.) - 1. Must Possess a Degree in Vety Science from a recognized University 2. Must have registered with Vety. Council. 2. Deputy Manager (Dairy) - Must possess Degree with IDD/ NDD or Post Graduate Degree in Dairy Science / Dairying or B.Tech in Food Technology / Dairy Technology / Food Processing from any approved institutions. 3. Private Secretary Gr-III - 1. Must Possess a degree in any discipline. 2. Must have passed typewritting English Higher Grade and Tamil Lower Grade and Shorthand English Higher Grade & Tamil Lower Grade. 4. Extension Officer Gr.II - 1. Must be a graduate in any discipline. 2. Must have passed in Co-operative training. Exemption for holders of degree in B.A (Co-Op) or B.Com (Co-op) from passing Co-operative training.